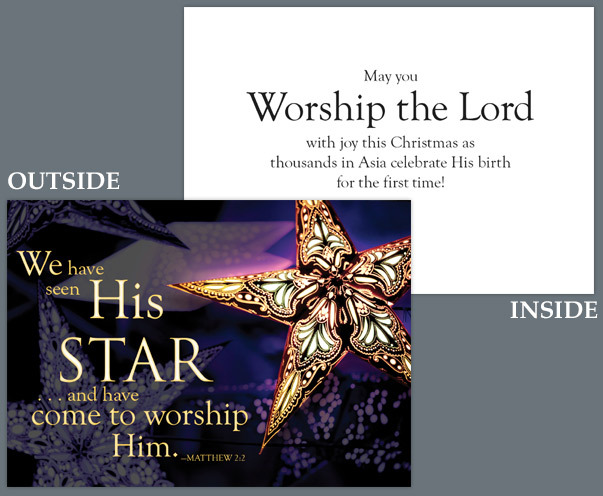 We hope these cards are a blessing to those you give them to! 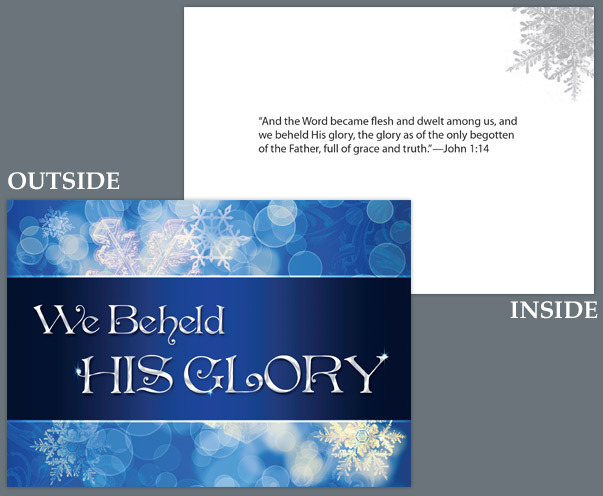 Each of these cards was designed by GFA staff members and contains a scripture verse about our Savior. 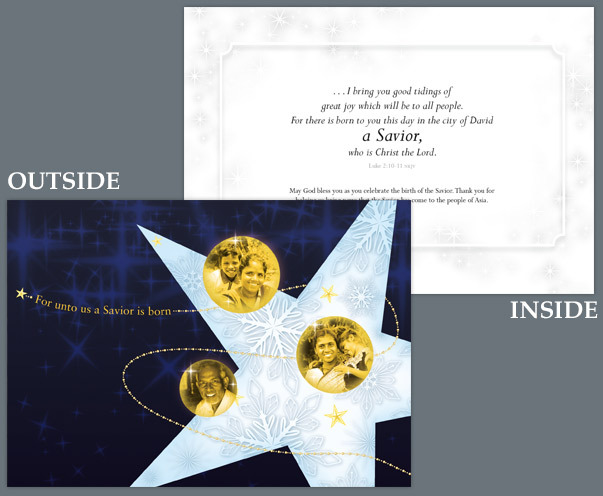 If you give a gift through GFA’s Christmas Gift Catalog in honour of a loved one, you can also access customizable In Honour cards to let them know their Christmas gift is transforming lives in Asia. 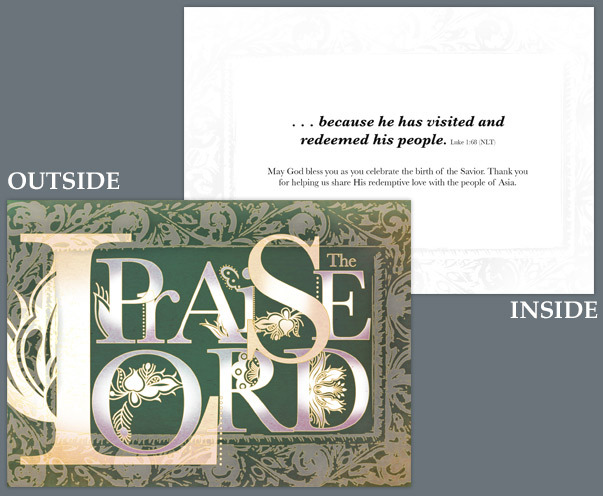 Click on a card to view inside. 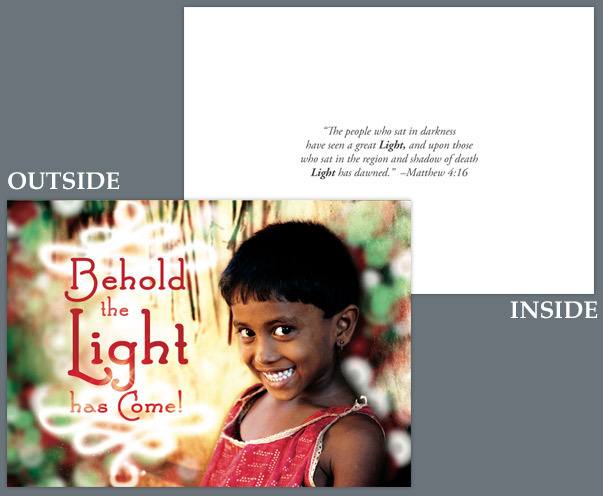 Behold the Light has come!